Working for a living has the unwelcome side effect of bringing on muscle pain, aches and soreness. No one likes being sore! Maybe you hit the gym to blow off steam or go on a hike to de-stress. These are fun activities, but they can also result in muscle pain. 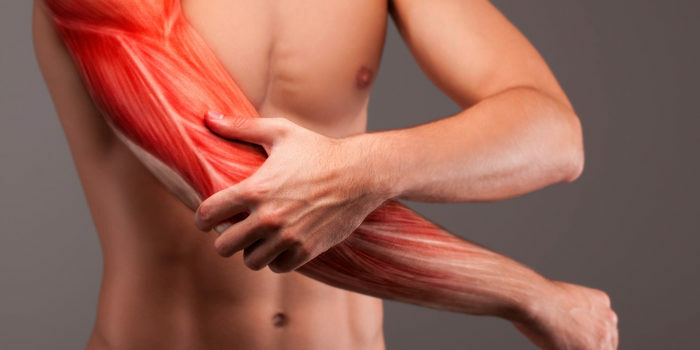 What are some of the best ways to fight muscle soreness or aches? Today we’re going over some quick tips to get you relief from that pain. If you don’t normally experience sore muscles, but find yourself doing so now, there are a few reasons why this might have happened. When you overuse a muscle, or do a new activity that it’s not used to, you can cause tears in the muscle. Then, when your body repairs it, it become remade even thicker and stronger. The good news is, given time, most muscle soreness should go away as your body becomes more accustomed to the type of exercise that’s inflaming it. This, in turn, means that you’ll be building bigger, stronger muscles, which is never a bad thing! One of the best ways to fight muscle soreness is with indirect ice. Get an ice pack and wrap it in a towel or something similar, then apply it to the affected area. The cold will reduce inflammation and cut down on your immediate pain. It’s best to start with ice, instead of heat, as the ice will help more in the long run if you start with it. After you’ve used ice to reduce the inflammation and lessen the pain, switch to a hot compress or heat pack. This will encourage blood flow to the area and could even relieve some mild joint pain you may have from exercise. Don’t start with heat, even though it feels great on a sore muscle! Start with ice, as it can help cut back on the swelling. Another common way to fight occasional muscle pain is with NSAIDs like Tylenol. Don’t overdo it on these, as they could contribute to causing liver problems if taken improperly. However, for infrequent muscle pain, taking an NSAID should help cut back on your general soreness. Accompany this with a cold and then hot compress to really bring on the relief! Make sure you consult your doctor before taking any new medicines, though. If you’re already taking medication, some NSAIDs could interact negatively with them.